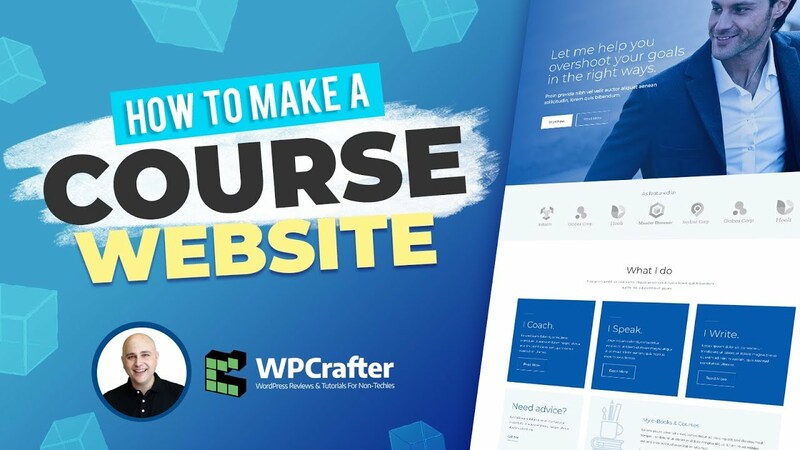 Learn how to turn your website into an online course website where you can sell courses, offer quizzes & certificates, every feature included. If you thought that expensive services like Kajabi, Teachable, Thinkific and the like were your only option for having an online course website, then think again. Sure those services are great, but do you really want to pay hundreds of dollars per year on a platform that you don't own or truly control? I made this simple to follow tutorial to show you exactly how to make an online course website for free. All that is required is a web hosting service and some of your time. That's it! 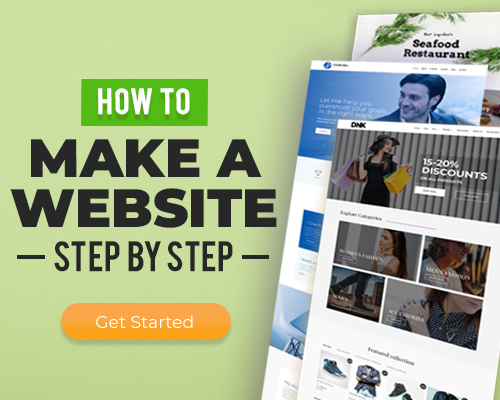 This how to make a website tutorial is the perfect Kajabi alternative or Teachable alternative. You can use the free LifterLMS. You can’t sell courses without an addon, but there is nothing stopping you from selling a course via WooCommerce and manually giving access until you can afford one of the payment gateways. You mention in one of your videos that you only needed to purchase the LifterLMS PayPal addon, so I was curious, how do you add students to a mailing list when they sign up to your website courses? Do you actually do this manually? Which autoresponder service do you use to handle the signups? There are several ways to do that depending on the email service you use. For example, my email marketing service has a WordPress plugin that will automatically do it. Optionally you can use WPFusion, which I use on this site, and it will automatically do all that for you along with a ton of other things. This is just what I need, thanks for doing good work, so I can just use the information you gathered. Adam, do you plan to shortly release a “How To Make An Online Course Website” for 2019? I’ve just watched the 2018 video and really benefitted from it. However, I’ll hang on and wait if you have a new video due shortly. Thanks so much for all yout work & support! I will be maybe in 1 month. You still wouldn’t be able to auto-enroll without their official WooCommerce integration. Do you have a coupon for those who may need to purchase after testing the free version? LifterLMS is a free I don’t know why you’re saying it’s not. Has anybody told you that this page repeats itself? As I scroll down there’s the Astra section, then the Elementor section, InMotionHosting section, and Lifter section, then it starts over again, Astra, Elementor, InMotion and Lifter. Thanks for letting me know, I must’ve been testing something on this post only. Is this still using Thrive Comments? Not at the moment, but I may reenable them. Trying to see how few plugins I can run on my site. Very helpful…But what do you use for a payment gateway/ take payments? This wasn’t clear from the list…Thanks again. There are several payment gateway options with LifterLMS. I do talk about it in the video. Can I use payment service from bank in my country Kazakhstan? If you connect it to WooCommerce and use a payment gateway in WooCommerce for your country. Creative idea thanks, i want to develope online learning website or blog can you do this. You can follow this tutorial for that. Thanks for so nice video. I am building my website on wordpress. I have a strange problem with astra theme, when i try to import it to my website, it give show import failed with error [object Object]. I think they had a momentary problem with their hosted Astra Sites. Hi Adam, Do you have any instructions (or a video) for how to use Lifter LMS with a genesis child theme? I am also looking to be able to customize the look and make the pages nice like you did with the Astra theme. It would be a ton of manual CSS styling work. That is why sometimes it’s much easier to go with a theme that does all that for you. Considering them for my course, especially since I already own Thrive and won’t be paying extra. What are your thoughts? Thanks! You can wit LearnDash. Thrive Apprentice will still require membership security and a way to sell the courses. Hi Can you please tell where I can get FREE Resources ? Right here on this page there’s a button that says download resource files. Hey Adam, this looks like a great set up. I wish it had been around when I set up all our courses on CourseCraft. Maybe someday soon I’ll move it all to this combo. BTW did you know that the descriptions repeat two times? Ahh I have never heard of CourseCraft. If it ain’t broken, then don’t fix it. And yea I do know about the repeating. I am testing some future changes. In the process of releasing a new website.